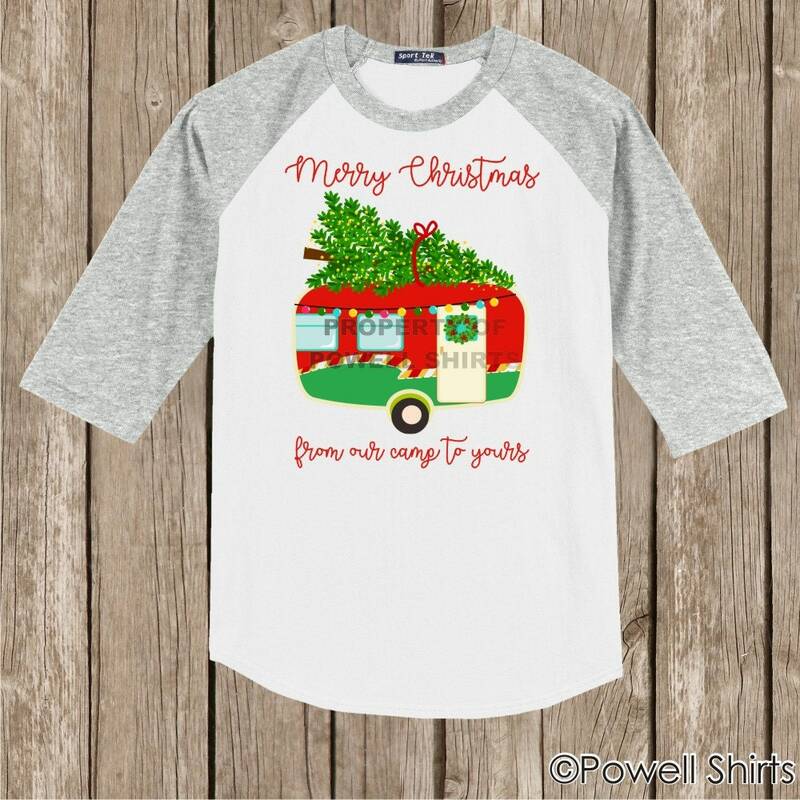 3/4 sleeve baseball style raglan T shirt with vintage retro camper and wording Merry Christmas from our camp to yours. 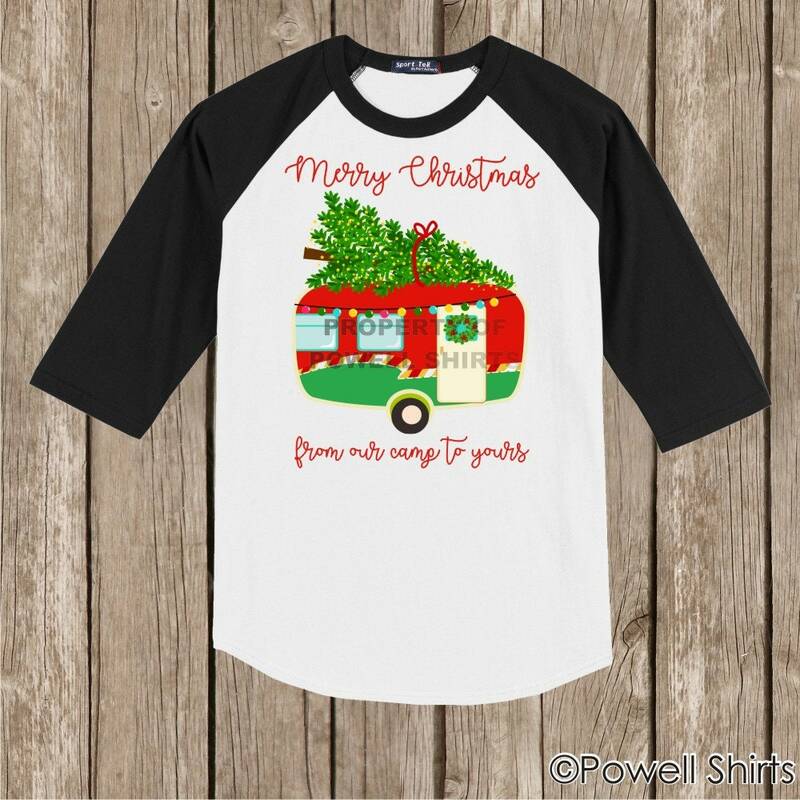 Design is printed directly into the shirt with our professional digital garment printer. You can't feel the design on the shirt. This is not an ironed on or heat transferred image. Chest measurements in inches. Please note - these shirts are UNISEX STYLE and NOT FITTED. Like most regular T shirts, they are cut straight. In other words, the chest measurement would be the same as the waist measurement. Care Instructions: Turn item inside out. Machine wash cold, gentle cycle. Only non-chlorine bleach when needed. Tumble dry low. 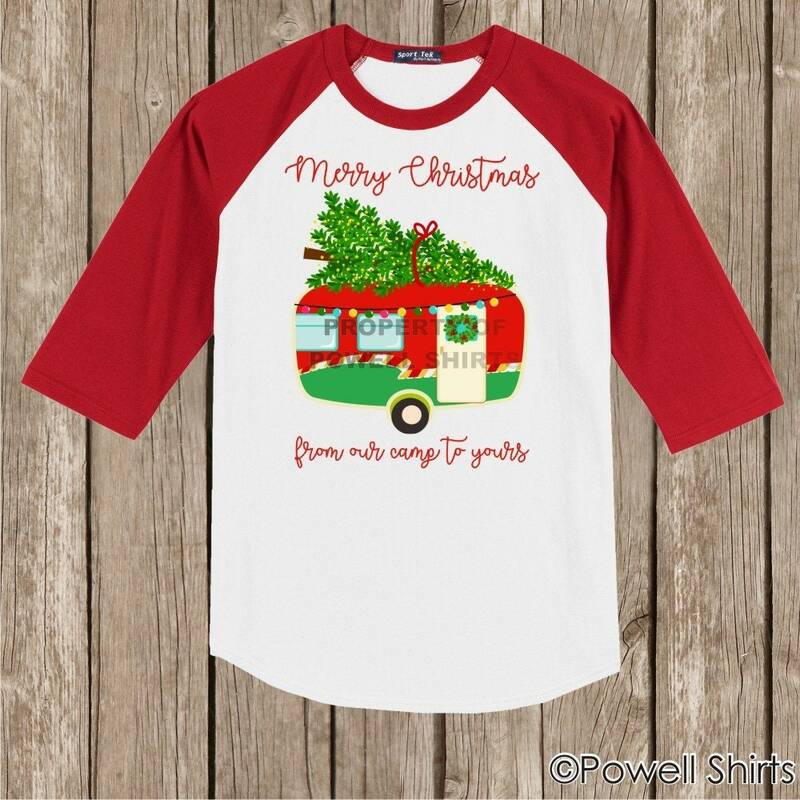 We will ship your shirt via USPS within one week of receiving your order. If you need it sooner and we have your item in stock, we can get it out much quicker, however. Contact us if you need it shipped quicker. The shipping offered with the listing is USPS First Class Mail, with a quoted but not guaranteed delivery time of three days anywhere in the continental US. No returns (unless there is a defect in the workmanship) due to the personalized natural of this item.